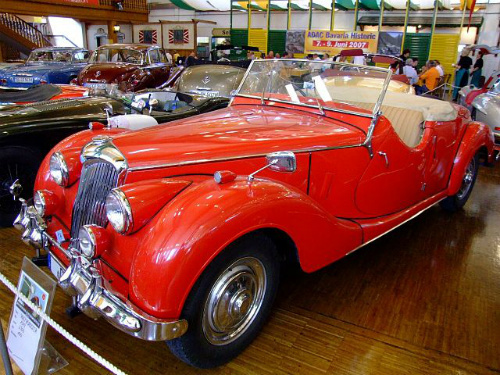 The Riley RM was the final Series of saloons and convertible sports cars produced by the independent Riley Motor Co between 1945-52. The two door, four seater RMD drophead coupe of 1949-51 featured genuine wood interior trim, leather seats, doors that were hinged from the rear, and running boards. Using a technically-advanced chassis, it was powered by a pre-WW2 designed Riley 2443 cc, straight-4, twin cam engine, with hemispherical combustion chambers, that developed 100 bhp. Fitted with a four speed manual gearbox, and twin SU carburettors, it produced a top speed of 87 mph, with a 0-60 mph time of 16 secs. It had independent torsion bar front suspension and a live back axle using semi-elliptic springs. 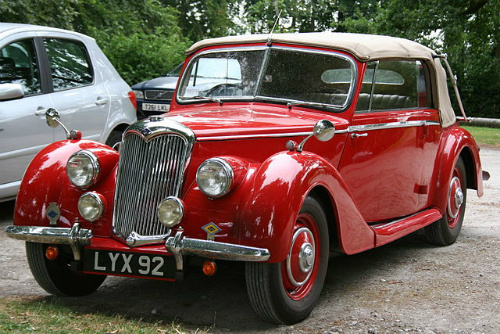 By 1951, 502 RMD Dropheads had been built. 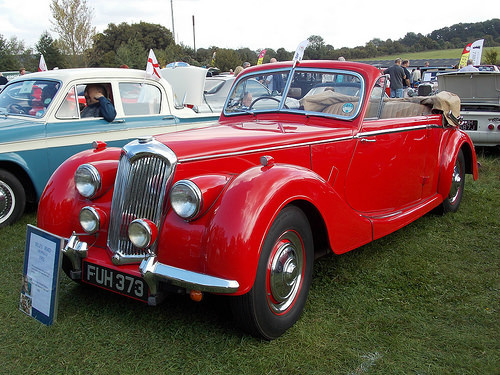 The Riley RMC of 1948-51 was a 2 door, 3 seater convertible, powered by the same engine, of which 508 were built.